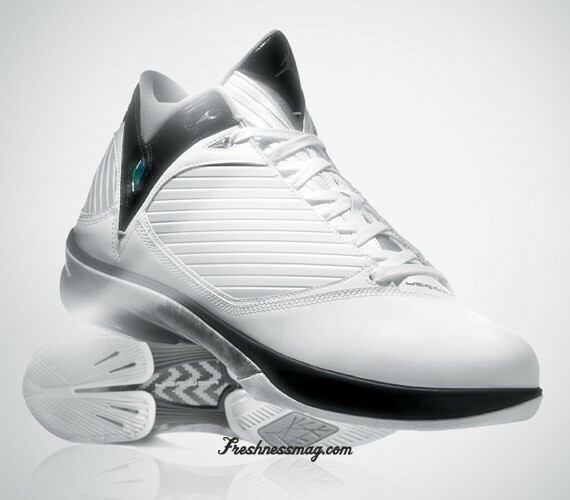 The all new AIR JORDAN 2009 shoe is born from the inspiration of Michael Jordan’s unstoppable will. When Jordan was cut from his high school basketball team, he was driven to practice harder and longer and earned a spot on an All-American Team his senior year. When critics scoffed at his return from retirement in 1995, Jordan quieted his opponents by leading the Bulls to their second Championship three-peat. Jordan does not back down from challenges – he rises. Pioneered from this philosophy, AIR JORDAN returns and presents the world with the answer to the Jordan Brand’s challenge of creating the most original basketball shoe on the planet. 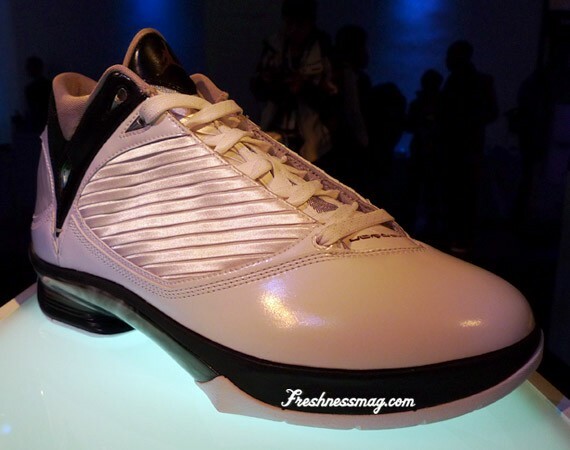 The AIR JORDAN 2009 honors the franchise’s tradition of innovation through its cutting-edge technology features. The shoe introduces Articulated Propulsion Technology (APT), a revolutionary heel system inspired by the carbon fiber prosthetics used by Paralympians and developed to allow an explosive forward movement. The heel is also split, which ensures superior responsiveness by keeping at least one half of the heel in contact with the ground at all times. 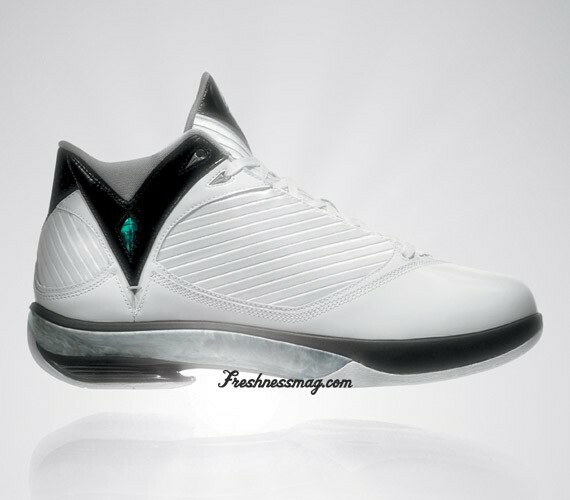 The polished design of the AIR JORDAN 2009 shoe complements its performance elements and overall engineering. 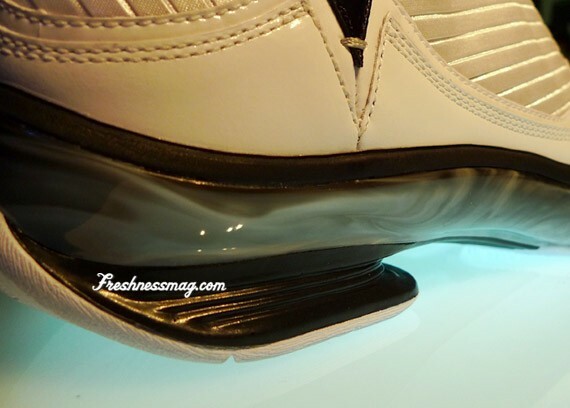 The design technique of blown glass inspired the TPU (Thermo Plastic Urethane) chassis on the outsole. Using this method, each shoe is individually unique and guarantees the ultimate limited edition experience: a one-of-one collection. 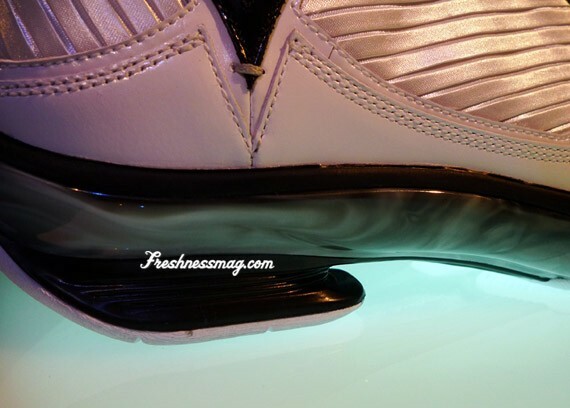 In addition, the AIR JORDAN 2009 flaunts polishable panache leather on the upper, a nod to the franchise’s trademark elegance. The AIR JORDAN 2009 continues Jordan Brand’s forward-thinking respect for the environment with the launch of its second Considered Design shoe. Designed under the Considered Design ethos of combining sustainability with performance and innovation, the shoe seeks to reduce waste and allow for the use of environmentally-preferred materials – without compromising athletic performance. The Considered Design ethos is one of several company-wide corporate responsibility targets that NIKE, Inc. has implemented to sustain long-term growth and innovation. • Overall design contours the foot and allows for superior responsiveness, quick reaction time and maximum support. 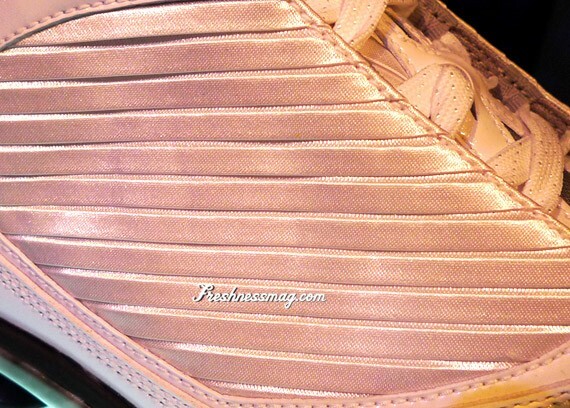 • Pleating on the satin upper reinforces the durable construction and molds to the foot for a secure lockdown. 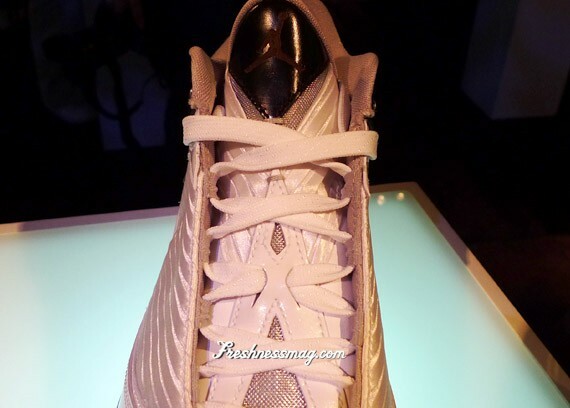 • Foam inserts in the heel provide further lockdown by hugging the Achilles tendon. • Injected dot grip on the outer heel makes pulling on the shoe easy and effortless. • Moisture-wicking, breathable liner ensures comfort and stability. • Heel employs cutting-edge Articulated Propulsion Technology (APT) that allows the athlete to explosively and quickly propel forward. • Split in heel ensures outstanding responsiveness by allowing one side of the heel to react to lateral movement while the opposite side maintains contact with the ground. 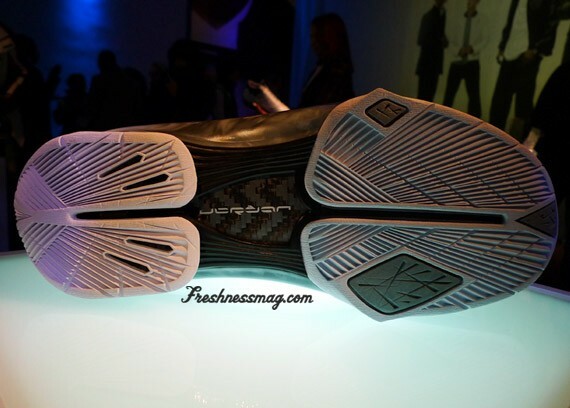 • Carbon fiber plate in the arch provides support and compliments the heel’s performance enhancing design. • TPU (Thermo Plastic Urethane) chassis offers additional structural support. • Articulated forefoot Zoom Air unit cushions foot to maximize comfort. • Outsole grooves flex naturally with the grooves of the foot for exceptional traction. • Multi-directional herringbone patterns grip the court for optimal movement. • Blown-glass-inspired TPU chassis is unique in every shoe, creating a one-of-one limited edition collection. • Polishable panache leather and white satin pleating on upper nod to Michael Jordan’s ability to be both a gentleman and a fierce on-court competitor. • Strategically placed stitching reinforces construction while offering high-end European-style aesthetic. • Stitching on upper is sewn in two rows and three rows to represent #23. • Metal mesh implies the sport of fencing, known for its exceptional defensive element. 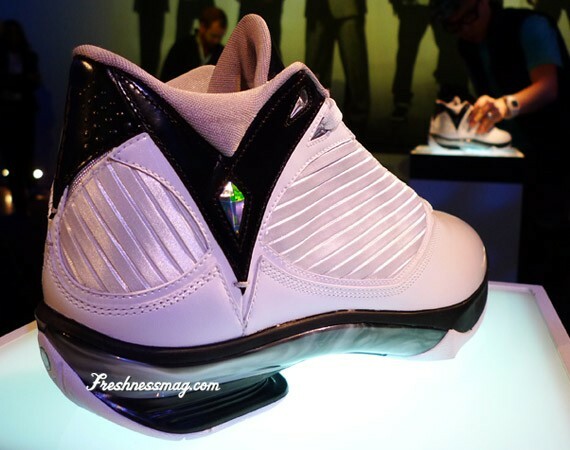 • AIR JORDAN 2009 is Jordan Brand’s second basketball shoe designed under the Considered Design ethos. 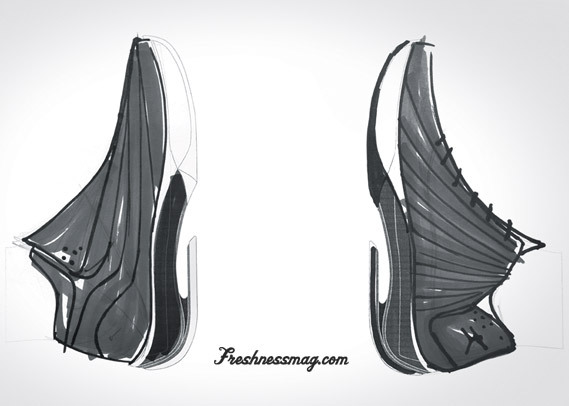 • AIR JORDAN 2009 shoe’s design and development seek to reduce waste by using smarter pattern-efficiency and the compression molded pre-form process in the midsole. • AIR JORDAN 2009 maximizes the use of environmentally-preferred materials, such as Prime Asia leather and environmentally-preferred rubber. • The design emphasizes repurposed materials, including reground rubber from footwear manufacturing waste. 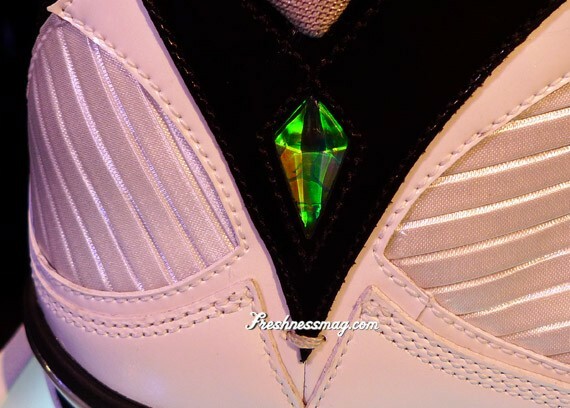 A special limited edition of the AIR JORDAN 2009 shoe will launch on January 31, 2009, with a suggested retail price of $230. 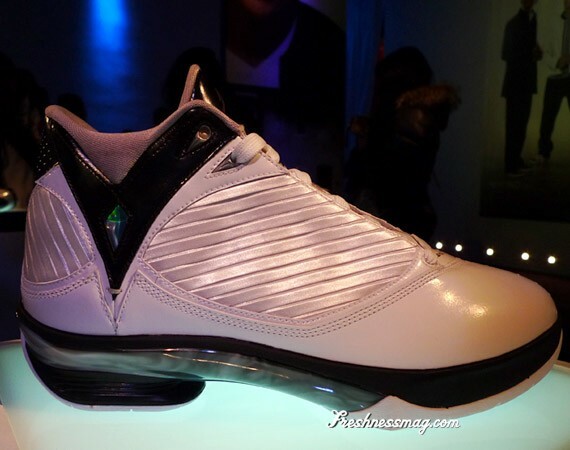 The AIR JORDAN 2009 will then launch nationwide on February 14, 2009, with a suggested retail price of $190. 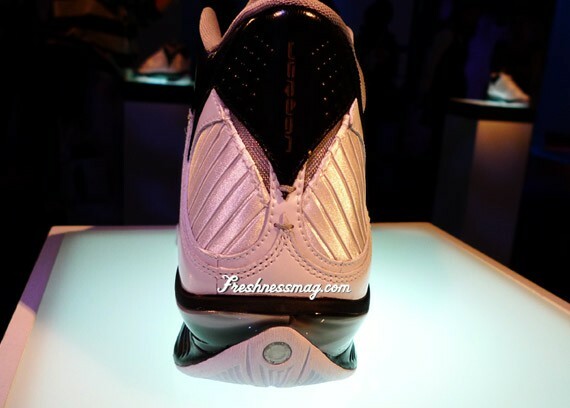 For more information, please visit www.Jumpman23.com.